With more than a dozen destinations to choose from, Mexico abounds in vacation opportunities for all sorts of travelers. Choose from world class Cancun with the beautiful white sand beaches of Rivera Maya, Cozumel which is home to the Palancar Reef perfect for those looking to head under the sea and snorkel or dive to explore, Los Cabos for those looking for a bit more of the laidback Baja-Mexican lifestyle, scope out the unforgettable view of the Sierra Madre Mountains in Puerto Vallarta, or check out one of the other breathtaking locations that Mexico has to offer. Mexico is a diverse destination for adventure, discovery, and culture. Put yourself directly where history happened, and explore the ancient culture of the Mayans, immerse yourself in shopping through some of the best boutiques by world famous designers, or relax on one of the gorgeous beaches the country has to offer visitors. There is so much room to explore in Mexico’s jungle laden landscape, complete with ancient ruins, and breathtaking mountain views. Visit Eastern Mexico which is dense in resort areas, sixty miles of the coastline is covered by luxurious resorts, and beautiful white sand beaches. While you are visiting treat yourself to a trip to an indulgent spa, shop at an authentic local Mercado, enjoy one of the many fabulous restaurants featuring real Mexican cuisine, or take in an authentic margarita at a fabulous Mexican bar. The West Coast of Mexico is known for the quaint, and relaxing pueblo towns, great golf courses, and exciting deep sea fishing. 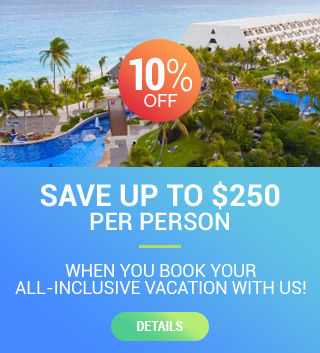 Mexico is a remarkable destination with something for the entire family to enjoy, with so much to choose from just south of the boarder, why look anywhere else for a one of a kind getaway that you will remember for the rest of your life?